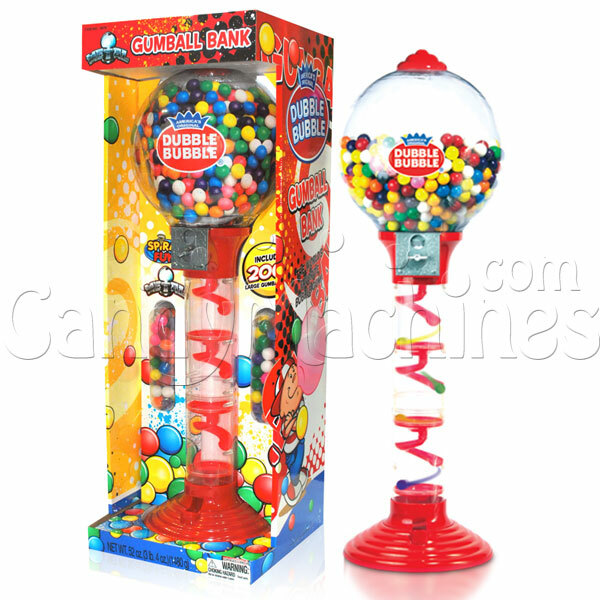 Standing at 36" tall, this spiral gumball bank is sure to bring a smile to everyone's face as they look through the clear base and watch as each gumball rolls down colorful spirals. Great for a home, office, dorm or kid's room. Includes 200 pieces of assorted color gumballs. Classic Red Finish with metal coin mechanism. This gumball machine dispenses 1 inch Gumballs. 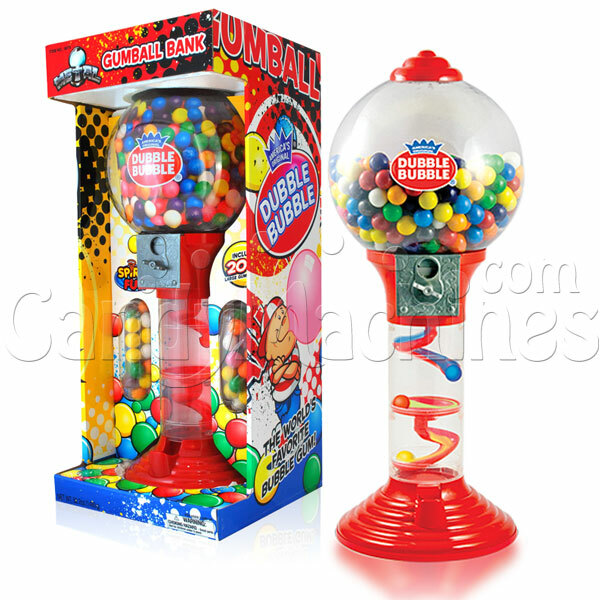 Click here to purchase 1 inch refill gumballs by the pound. I had bought one of these a few years back at Toys R Us so knew it was a good item already, but could not find it anywhere except at CandyMachines.com. Thanks, great item - won’t disappoint; but should consider buying addition gumballs to fill it up.